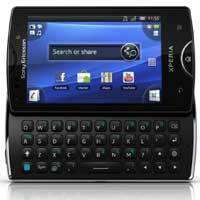 Facebook Integrated In New Xperia ~ " World Information "
Jakarta - Sony Ericsson make a breakthrough to FB users. In its newest product, FB is now integrated in the Xperia. Like what? By providing direct access to FB on features that are often used, such as a photo gallery, music player, phone book and calendar, users can directly interact in it. The most prominent feature is the provision of comments 'like', the music being played in Xperia handset, and immediately forwarded to our FB wall account. "The use of social media on your smartphone is now part of everyday life. Sony Ericsson has improved the integration of FB in Xperia portfolio to provide a unique experience and mengibur directly to consumers," said Djunadi Satrio, Head of Marketing at Sony Ericsson Indonesia, according to detikINET information received, on Friday (06/05/2011).